dehydrate for about 4 hours. 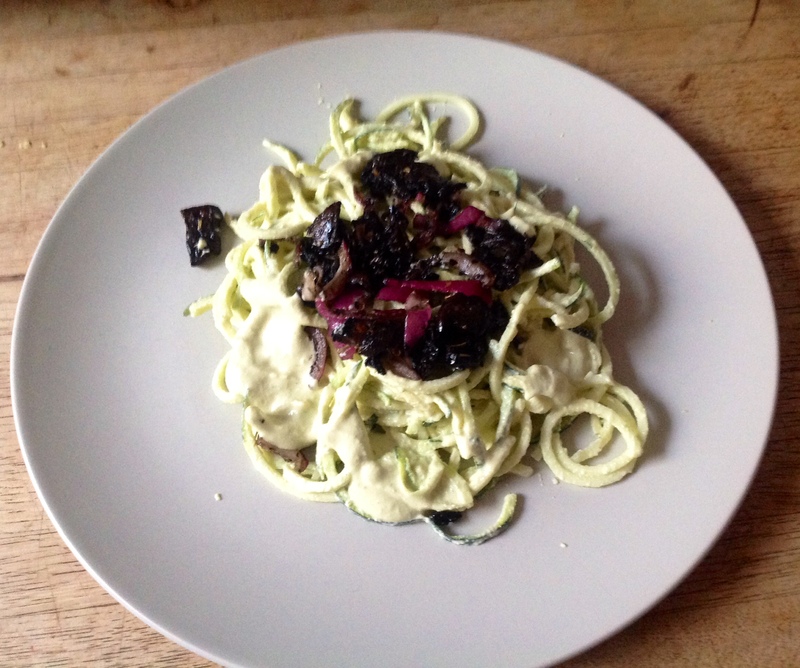 Make zucchini pasta , mix in the rawlfredo sauce and top it with the mushroom and onion mixture. It was my first time making a raw mushroom mixture like this, and it came out perfect. I love it and I will definitely do it again. Most times I end up making patties it is because I have left over grains of some sort. 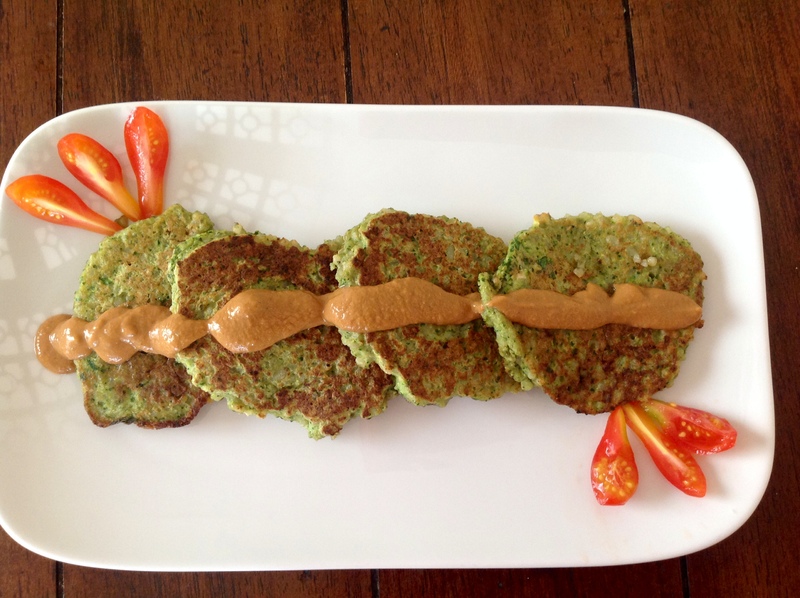 I love making patties for the kids because it is such an easy way to pack veggies in without them paying attention. This is such a quick lunch to make if you have everything on hand. Here is my latest patty creation. mix everything together in the for processor with the S blade until well combined. make 3 inch patties on a skillet and cook about 2 minutes each side. Since the only ingredient that needs cooking is the egg, there is no need to cook for too long. This amazing flatbread was a happy accident. I originally was trying to make a raw mushroom patee and it was a flop. the beauty with raw foods is that there are often ways to recover. So I turned my not so tasty patee into this amazing flatbread. *Soak all seeds for a minimum of 4 hours, flax seeds in separate bowl. Rinse and strain the pumpkin and sunflower seeds. *Chop all other ingredients in 1 bowl. *Put everything in food processor and process until somewhat pureed. My food processor is small so I had to do this in 3 steps. Each time making sure to put equal amounts of seeds and mushroom mixture in the food processor. 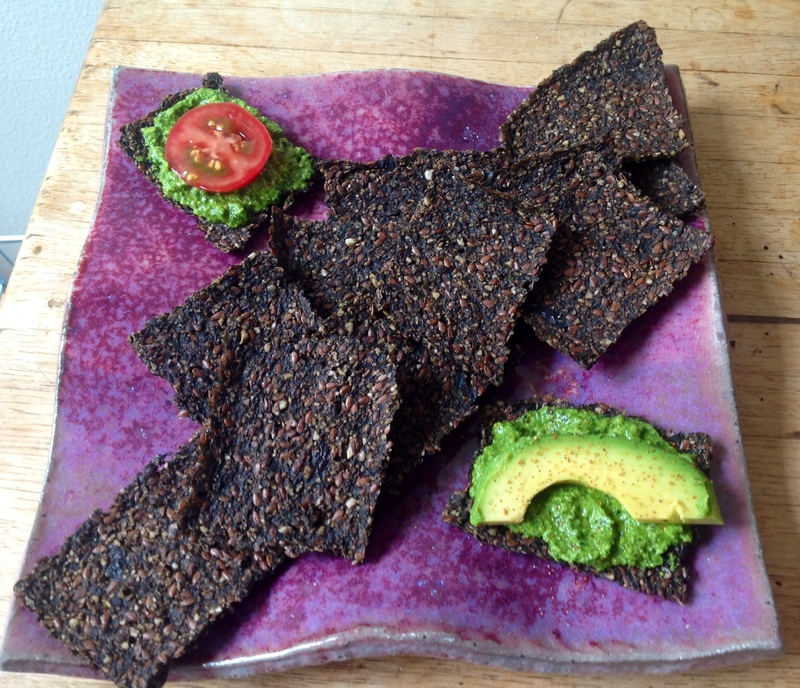 *Spread on dehydrator sheets about 1/2 inch thick. *Dehydrate at 110 for about 9 hours, score, flip on mesh screen, and dehydrate another 6 hours or until desired consistency.